Carving out time to spend with your family seems like a no-brainer, right? But with busy lives including all kinds of sports and other activities, dedicated family time can be hard to come by. You can start by setting aside a couple of hours each week to spend together. 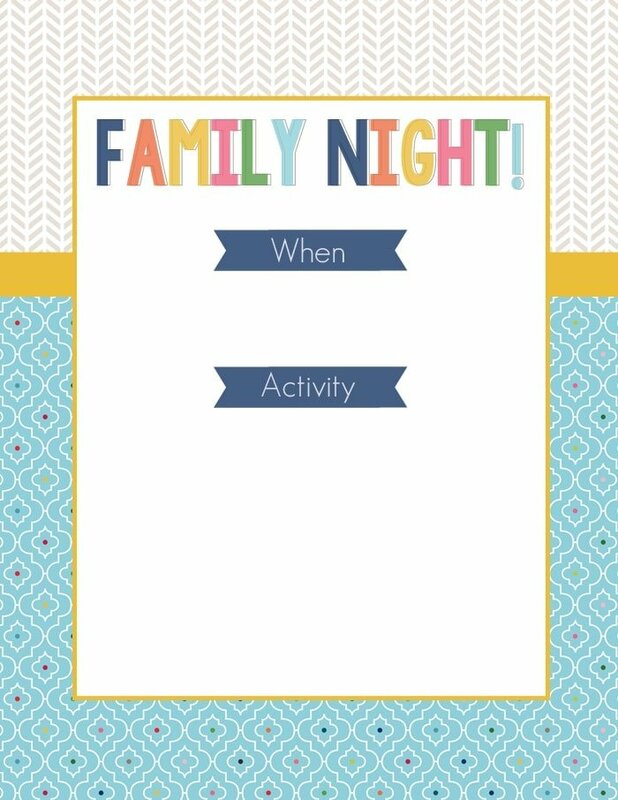 But then comes the dreaded “What do you want to do?” “I don’t know, what do YOU want to do?” Never fear, I’ve got 10 ideas to jump-start your family night festivities! 1. Movie Night. Of course, movie night seems the obvious choice. Order a Pizza, rent a movie (or watch one on Netflix or one that you already own), and grab your blankets. After the movie, chat about the characters, the plot, and what you liked or didn’t like about it. 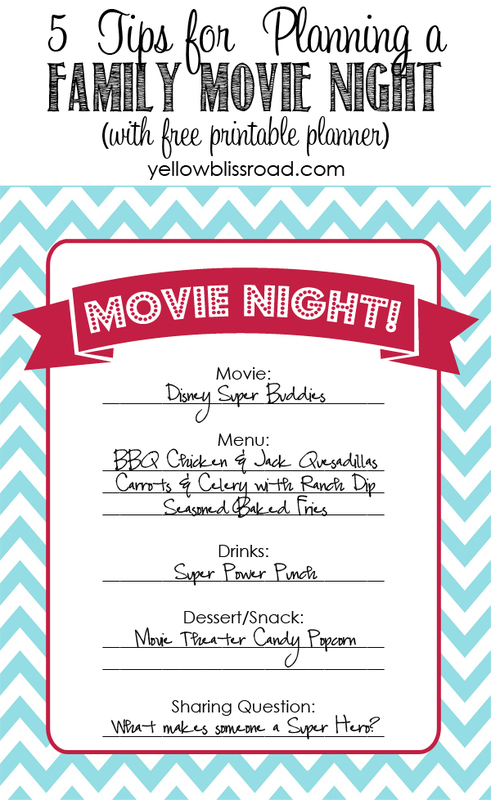 Check out my Movie Night Planning Guide for more movie night tips. 2. Star Gazing. Spread out some blankets and do some star watching. Print out some constellations and try and find them. 3. Game Night. This one seems like another obvious choice, but there are ways to make it more interesting, like playing for chores or other silly things (if you lose you have to do 10 jumping jacks – that sort of thing). Or instead of board games, work a puzzle together. 4. Art Projects. Set out a variety of materials, like paints and brushes, glue, beads, etc. and let the family have at it. Have a presentation at the end and awards for each project, like most creative use of glue, or most colorful. 5. Write a Story Together. Let your creativity flow and write a short story. Plan out the characters and the plot and put it together. Have your kids illustrate the story and consider taking it to an office supply store to be laminated and bound. 6. Go on a Nature Walk. Choose a route through your neighborhood and beyond and take a walk together. Give each person a bag to take with them to collect items they find along the way. When you get back home, make individual collages or even one big collage of your treasures. 7. Color Together. Break out the coloring books and crayons. Some of the best conversations happen this way! 8. Puppet Show. Make some sock puppets, or use some printables puppets and put on a puppet show. 9. Bake something. Pizza makes the best dinner choice for family night, but why not plan to make a special dessert together? 10. Outdoor games. Summer is coming and what better time to get outside! Set up some outdoor games as space permits, like Badminton or volleyball or games like lawn bowling or lawn darts. If you want to get really creative, set up an obstacle course. Whatever you plan, the last you want to have to do is spend time cooking in the kitchen. 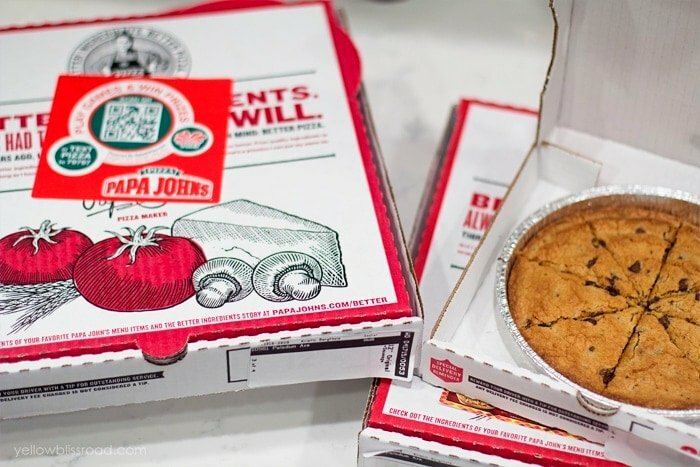 When we have family night, we always order pizza from our favorite place – Papa Johns. The pizza is delicious, and hey, it comes with garlic butter. I mean, it really doesn’t get any better than that, right? 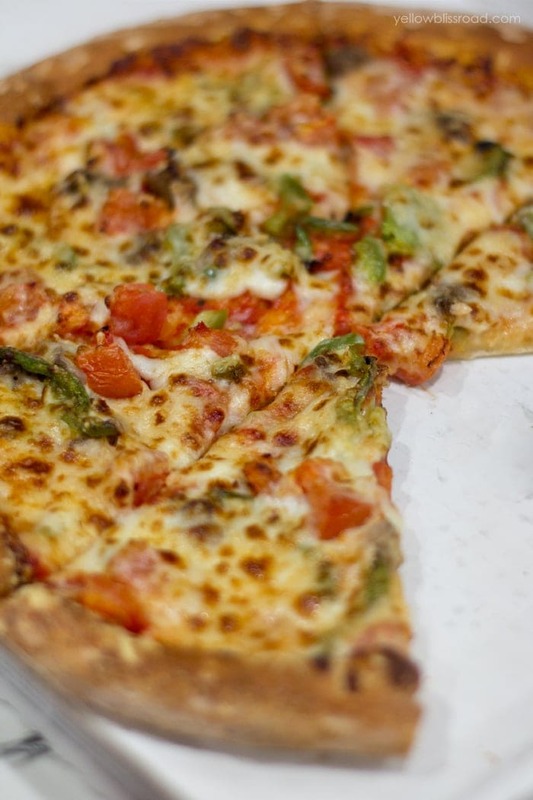 Here’s our favorite – it’s got tomatoes and green peppers and sausage. Ok, so it might just be MY favorite. 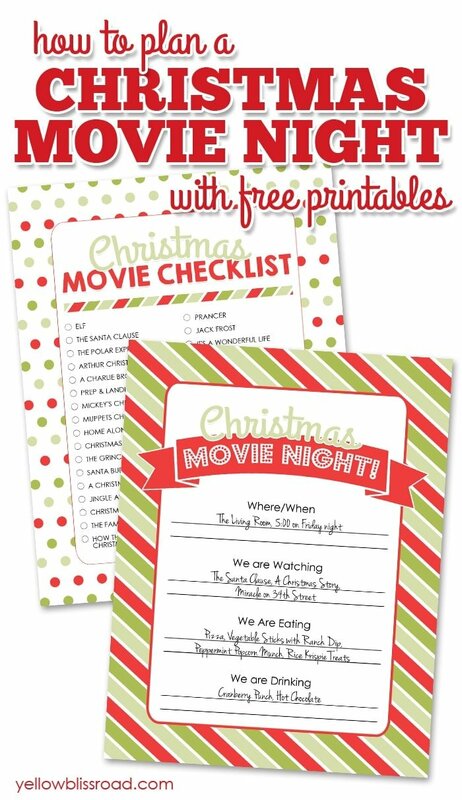 To get your family night planning started, here’s a free printable that you can post in your kitchen, family room, or wherever your family command center is. Either put the paper in a glass picture frame or have it laminated (get your own laminator here). Then use a dry erase marker to change the activity each week. 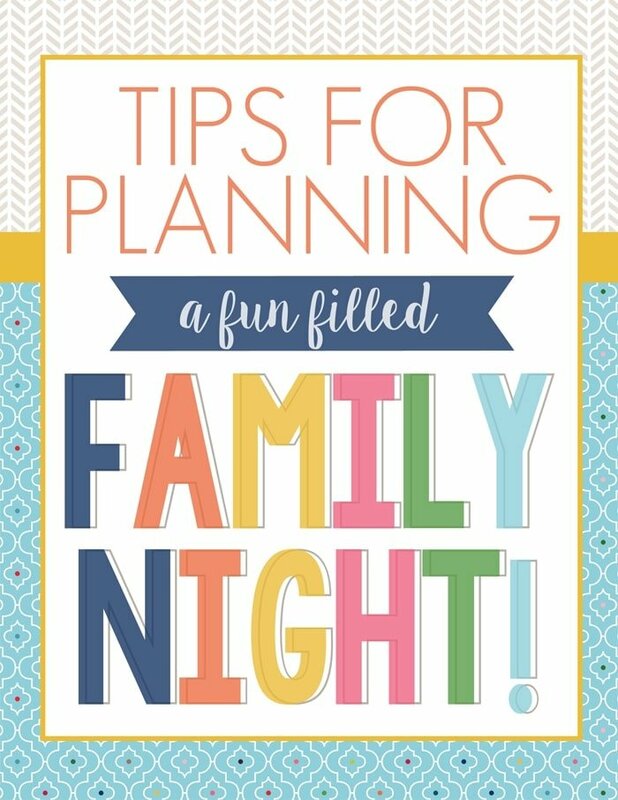 Even if a full on planned out family night isn’t in the cards for you, plan something – whether it’s eating at the family table each night or each morning together, or even just having family share time, or even prayer time. Your family will love you for it! Papa John’s knows that, for you, it’s not just a better pizza. It’s a family gathering, memorable birthday, work celebration or simply a great meal—and it’s their goal to make sure you always have the best ingredients for every moment. To learn more about what makes Papa John’s truly “better pizza,” visit www.papajohns.com/better. This is a sponsored conversation written by me on behalf of Papa John’s. The opinions and text are all mine.